These ACCEL Motorcycle Super Coils are designed to produce the maximum amount of spark energy, fast coil rise times and a voltage output that is 45% higher than the OEM coil. The ACCEL Super Coil is our highest output motorcycle coil. The Electronic Super Coil is easily installed in the OEM location using stock (later model year) coil covers on electronic ignitions. This coil carries a Lifetime Replacement Warranty. 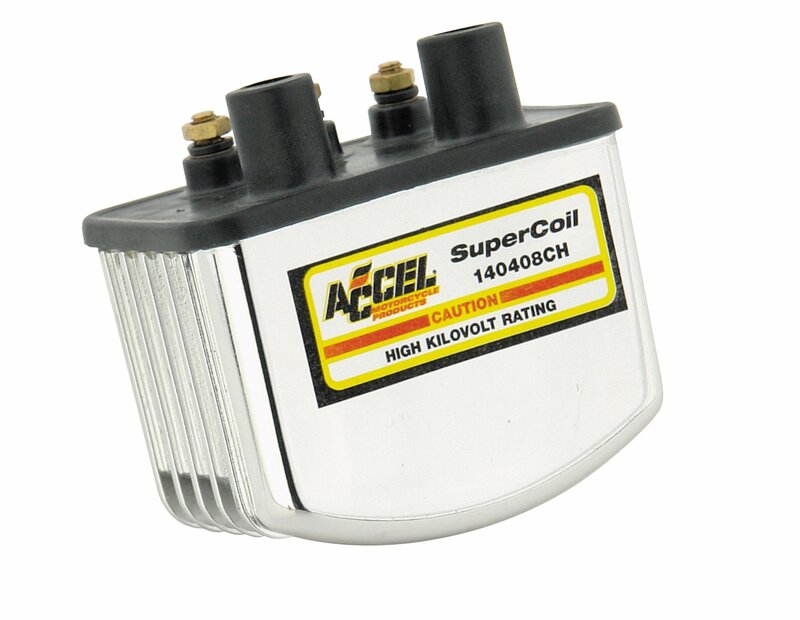 The ACCEL Super Coil is one of the best performance values that you can bolt on your motorcycle to achieve smoother idling, crisper throttle response and quick ACCELeration.